Teachers have a ‘shuttle’ of a time in Cook Islands! Teachers from primary schools around Rarotonga attended a ‘ShuttleTime’ school badminton Training course last Wednesday at the St Joseph Community Hall. Primary school teachers learning skills that they can pass on to their students. 17101307 Puaikura vs Titikaveka 1-4. 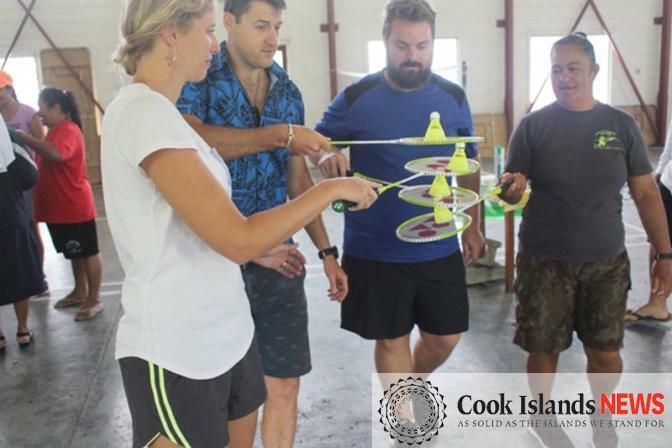 Cook Islands Badminton Association (CIBA) Tutors John Taulu and Hebrew Tom took the teachers through the various lesson plans and videos filled with fun games and activities that the teachers can take back to school and share with their students. “ShuttleTime” teaches children basic badminton skills, giving them a chance to have a go, and to keep active. Participating schools also received a bag of equipment donated by the Badminton World Federation, including 20 racquets, two nets and two dozen shuttles, as well as a copy of the ShuttleTime lesson plans and videos. The training course is part of the association’s plan to prepare teachers to deliver a four-week programme in starting week one of term four. CIBA tutors will also be making themselves available to help teachers in the delivery of the “ShuttleTime” programme, as well as preparing schools to compete at the Inaugural Primary School Badminton Tournament to be held at the Bluesky Sports Arena on Friday November 17. CIBA thanks all the schools and teachers for making the time to attend and accepting in the ShuttleTime programme into their schools.